(Sacramento, CA) – The California Charter Schools Association (CCSA) is proud to recognize the work and achievements of exceptional charter public schools, leaders, teachers, leaders and advocates with the prestigious Hart Vision Award at the 26th Annual Charter Schools Conference in Sacramento. The Hart Vision Awards are given annually to individuals and organizations with outstanding records of leadership and excellence in public education. The awards were established in 1995 in honor of Gary K. Hart, retired California State Senator, former California Secretary of Education and author of California’s landmark charter public school legislation. Yogeshwari Patel puts her heart into everything she does for her students. She believes all kids can learn and demonstrates that in every decision and action she takes on campus. Patel is known as a fun, engaging educator who brings learning to life and is one of the hardest working teachers at the school. 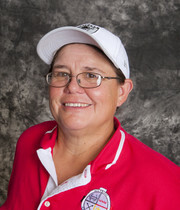 In fact, she is nationally board certified, a prestigious honor that requires lengthy and onerous requirements to obtain. 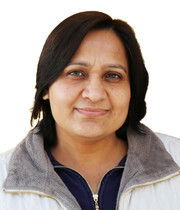 Now, Yogeshwari is a mentor to her colleagues pursuing board certification. In 2018, Patel was also able to help 100 percent of her AP Biology students pass their AP exams, which is extremely rare of across the country, particularly in a low-income community. Patel continues to raise the bar and raise the lid on what’s possible for her students and colleagues to achieve. Principal Topham is actively engaged in the day-to-day aspects of his school’s operations, student activities and teacher growth. 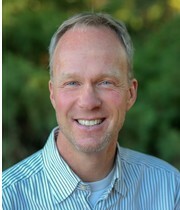 Known for his warmth and availability, Topham took his experience as a former first through eighth grade educator and advocated for a more collaborative learning environment for students and working environment for faculty. Always attentive, Mr. Topham continues to lead his school through collaboration and communication with teachers and families, taking in all perspectives to deliver the best education for his students based on their unique learning needs. CCSA is proud to recognize the outstanding work and achievements of Michelle Parada (photo-top) and Mary Ann Donohue (photo-bottom), founder and administrator, respectively, of All Tribes American Indian Charter School. These women helped start All Tribes American Indian Charter School to meet the needs of the Native American community, the majority of whom suffered from high suicide rates, high dropout rates, and low graduation rates. Their drive and passion to provide a quality education to all students helped change how much the community valued a public education. In addition to founding a charter school, Parada and Donohue serve as foster care providers and offer significant housing, financial, and emotional support to the school community so that everyone can achieve success in academics and life. Founded on the core value structure of Prepare, Respect, Engage and Persevere (P.R.E.P. ), Mission Preparatory School creates a rigorous, yet joyful learning experience for its middle school students to ensure they excel as high school students and beyond. The school teaches by the motto “every child, every minute, every day,” meaning that every student is a friend and part of the school family. The magic of Mission Preparatory School resides in the staff’s wholehearted belief that every student has the potential to do amazing things embraced the loving culture that surrounds the school community. 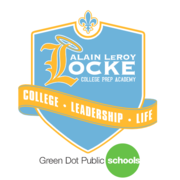 Locke High School was established in 1967 to provide a safe and secure place for learning. But due to a crippling recession in 1980, the school went from one of the most promising programs in the city to one in dire states, with only a 30 percent graduation rate and only three percent of its graduates advancing to college. Fortunately, in 2008, Green Dot Public Schools, a Charter Management Organization, teamed up with the local community to help the school do a complete turnaround. By 2016, graduation rates improved to 85 percent, with 82 percent of graduates college-bound thanks to a focus on community and parent involvement. The school also opened up a Locke Wellness Center across the street from the campus, designed to provide medical services to both students and community members so that they can succeed not only in school but in life. CCSA is proud to dedicate a special award of “Authorizer of the Year” to the Butte County Office of Education (BCOE) for the tireless, around-the-clock, hands on support they provided to the six Paradise charter schools that were displaced or destroyed by the Camp Fire. Ensuring schools were open again to students three weeks after the fire was a priority for Paradise charter schools, and BCOE made sure charter schools had everything they needed to make this happen. From their leadership on the first day of the fire, helping account for every school and student, attending every charter school leader meeting and phone call, helping the charter schools find temporary homes, securing school supplies, to feeding teachers and school leaders – BCOE was an invaluable partner that moved mountains for Paradise charter school students. Meisha Fogle is a tour de force. A parent turned advocate, turned community leader, Ms. Fogle embodies the spirit of learning and leadership. 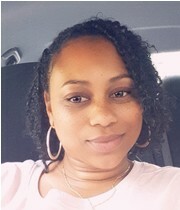 From not knowing anything about charter schools to becoming a key supporter and advocate for the movement in Oakland, Meisha cares not only about the education of her children but about all children. Through her incredible volunteer work, Meisha made the decision to transition from one who fights for our classrooms to one who teaches in our classrooms as a California teacher herself. 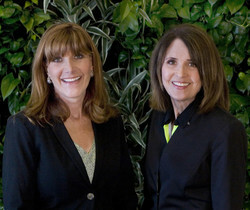 Forward thinkers whose philanthropic endeavors led to the creation of a school for foster and community youth, Susan Samueli (photo-left) and Sandi Jackson (photo-right) have been credited with proving a student’s zip code and family background does not determine their academic success or the quality of school they attend. After recognizing the necessity for a school that is sensitive to the needs of foster youth, Samueli and Jackson launched Samueli Academy. Today, thanks to their guidance and leadership, the school boasts a 98 percent graduation rate among all students, a 100 percent graduation rate for foster students and 96 percent of graduating high school attend a higher education institution. Additionally, the University of California at Irvine (UCI) has partnered with Samueli Academy to evaluate the school’s performance using data analytics to ensure that continual improvements are made so that students receive the highest quality education at all times. 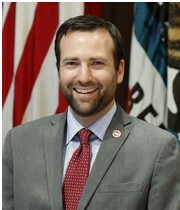 CCSA is proud to recognize Senator Ben Allen as one of the 2019 Hart Vision Public Officials of the Year. Allen served as chair of the Senate Education committee from 2017-19, and during that time, CCSA appreciated his guidance and leadership. A fair and unbiased committee chair, Allen always prioritized what was best for students over politics. Allen recognized that the continued debate about transparency issues at charter schools took away from a much more important focus – students – so he brought all parties to the table to try to put this issue behind us once and for all. 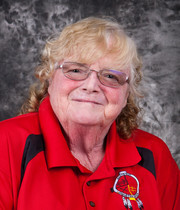 CCSA is honored to recognize Trish Williams as a 2019 Hart Vision Public Official of the Year for her service on the State Board of Education (SBE) as charter liaison. 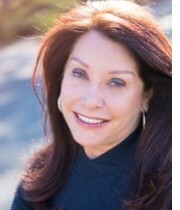 Williams served on the SBE from 2009-19 and shaped the public education system in California with her work on LCFF, by supporting the creation of a new statewide accountability system, and through her leadership in the development of Next Generation Science Standards and Computer Science. As charter school liaison, she ensured that any charter school approved by the board was serving students to its greatest ability. The California Charter Schools Conference inspires academic excellence, operational integrity and unity among charter schools throughout California. The conference is presented by the California Charter Schools Association (CCSA). For more information, please visit www.charterconference.org. California's charter schools are public schools built to put the needs of students first. Public, free, and open to all, charter schools are a valuable part of our public education system. They offer a different approach -- one that is as unique as the kids they serve, one that puts kids above bureaucracy, and one that gives passionate teachers the flexibility to create dynamic lesson plans tailored to kids' individual needs. As a result, charter schools send more kids to college and are preparing more kids for the jobs of tomorrow.